Property development and construction company, Helm Properties, is soon to release to market its latest residential development, Laurier. 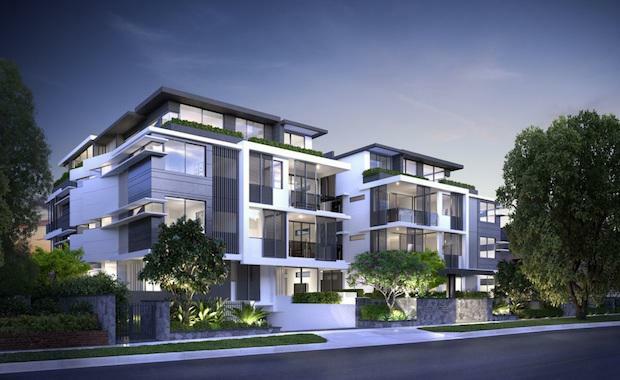 Laurier is a limited release located in Cremorne in Sydney's Lower North Shore, 7 kilometres from the CBD. Laurier comprises 18, two and three bedroom apartments starting from $1.35 million with the three-bedroom apartments ranging in size up to 161 square meters internally. It offers five garden apartments, four 2-bedroom upper level apartments and nine 3-bedroom upper level apartments, including 2 penthouses. Designed by award-winning architect, Peter Conley and Associates, Laurier has been designed with particular focus on the sites orientation, prevailing breezes, views, pedestrian and vehicular movement. Laurier’s façade features a palette of natural materials and the central void brings daylight and breezes into each floor, gives occupants privacy and helps to minimise overshadowing. Sun-shading, overhangs, aluminium louvres and filter screens provide residents with solar access and control.